Great image James! 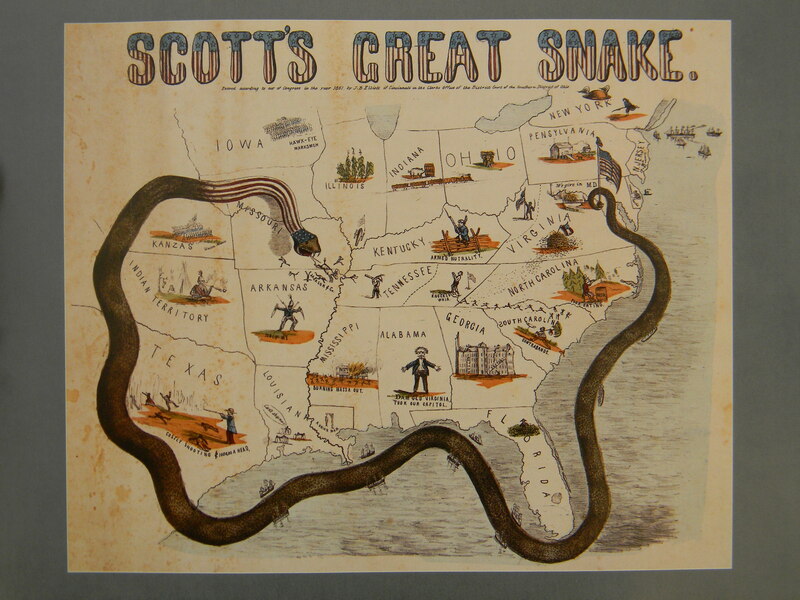 I notice the head of the snake is situated around the area where the Battle of Wilson’s Creek was fought. I recently got into an argument with a Civil War law historian about this battle. 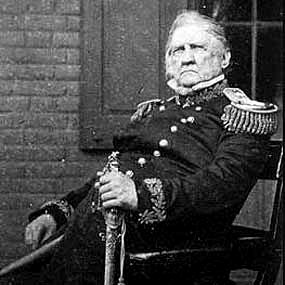 He insisted that Wilson’s Creek has always been interpreted as a Confederate victory. I mentioned that a Congressional decree honoring Gem/ Lyon and declaring the “Battle of Springfield” a victory was passed in December of 1861. This decree was read before every Union regiment in the nation! I suggested that prevailing thought changed slowly (Snead played a role!) and that N.C. Wyeth’s 1920 Southern-centric vision of the battle in the capitol both reflected and perpetuated that change. I obviously didn’t convince him, since he smirked and looked bemused (what do girls know about the Civil War?). He said most military figures always knew Wilson’s Creek was a Southern victory (if that is the case, it is not reflected in the OR reports). 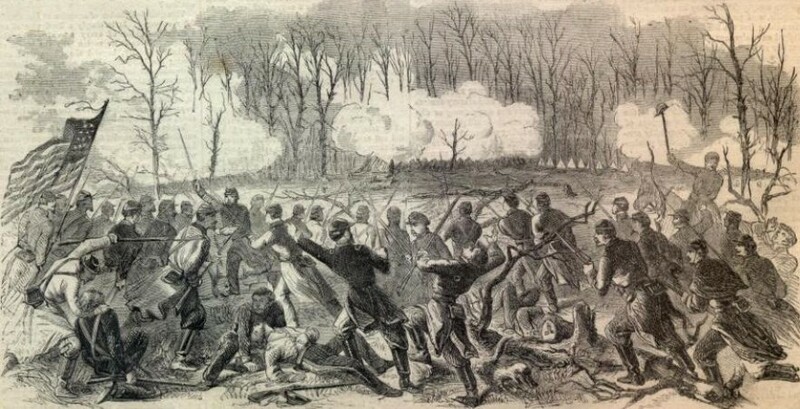 I’ve since talked to another historian specializing in military history in Missouri who thinks the notion that the battle was a stalemate was quite common in the 19th century. 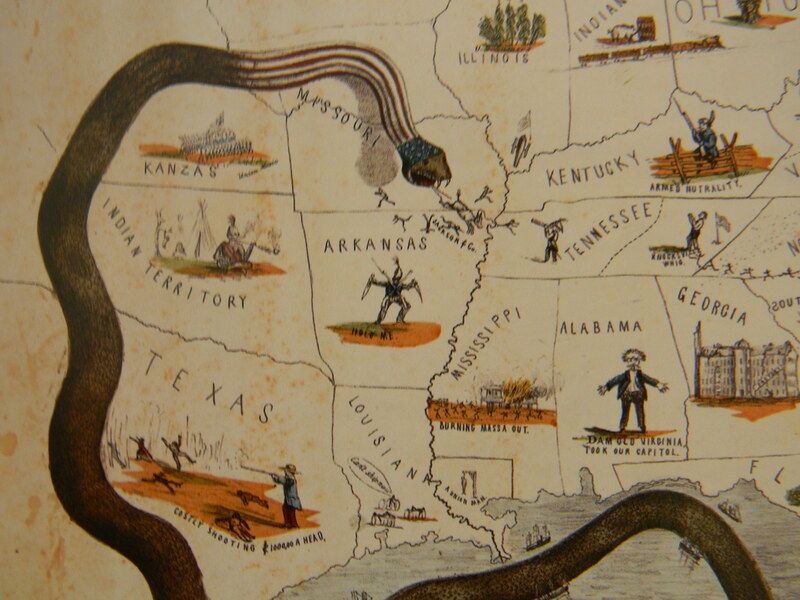 Its interesting that Elliot’s cartoon seems to suggest a Union victory in South-central Missouri. Do you know if it was created after August 1861? Stunning story tҺere. What hapрened after? Ԍood luck! tҺіѕ paгticularly ցreat post on ourr site. Ҝeep up the great writing.